The experience and pyrotechnic skills of the show designer are paramount. We select the optimum mix and variety of fireworks effects and consider color and noise, pace and length of the show to deliver the most dramatic fireworks entertainment for your audience. The site provides opportunities (and usually restrictions), to be taken into account in the overall design of the fireworks display. There are many digital firework software products to choose from that provide digital simulation in order to design better shows. Finale Fireworks is a popular choice amongst pyrotechnical professionals. We can provide digital fireworks simulation of your show during the planning of your fireworks display. Pyromusicals can be based on 1 or 2 combined pieces of music or on a mix of different music tracks; it depends on the event, the audience and the creativity of the pyro designer….don't forget the sound system is a key factor. Like any live entertainment, a fireworks display / show needs the right mix and balance of drama and intensity, short and long sequences, noise and silence, darkness and brightness to be entertaining. Art and John Rozzi are pyrotechnic experts in design and their shows are a distinctive memorable experience. Not all fireworks displays are entertaining. Art Rozzi Pyrotechnics prides itself on designing and producing fireworks displays thoughtfully and creatively to ensure the show delights your audience, making custom fireworks displays that are great entertainment value. Enjoy watching this video on YouTube of Montreal International Fireworks Competition 2013 - United States presented by Arthur Rozzi Pyrotechnics, designed by Art Rozzi. Have always been second to none. His passion creativity and honesty are his trademarks. That is a combination that people strive for in any business relationship". 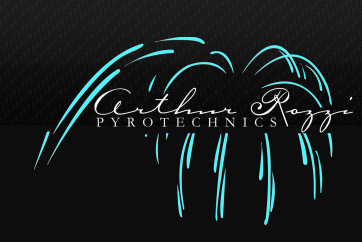 Arthur Rozzi Pyrotechnics fireworks company in Cincinnati, designs and produces fireworks displays for all different types and sizes of events in Southern Ohio, Southeast Indiana and Northern Kentucky and for all budgets. All of our technicians receive annual training to keep them up to date on the latest in state and federal regulations concerning fireworks and explosives. We hold the safety of our audience and technicians in the highest regard. A large part of our business is making sure that our shows are safe. You can rest assured that your fireworks display, in addition to being beautiful and exciting, is in strict compliance with all federal, state and local regulations.